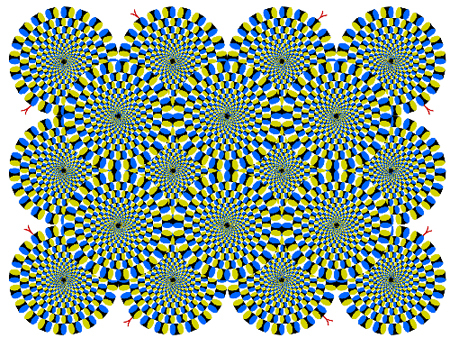 No, the picture above is not moving nor animated in anyway. Itâ€™s just one of many illusions you can find at Mighty Optical Illusions. It is a wonderful place to lose many, many hours. For those of you at the office, the dragon illusion is my favorite and will get you lots of friends. Just put it on your desk across from someone during a meeting to really freak them out. « No Body Armor for You!